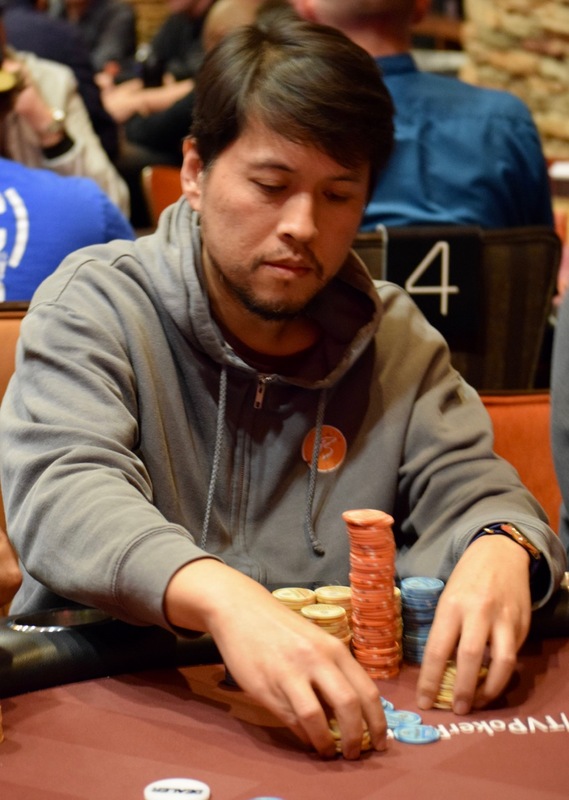 Last September's 6-Max ring winner - Sean Yu - is all in for his tournament life and ahead of Steven Michaelis preflop. The all-spade flop includes a Nine and Michaelis lets out a yell that registers a 4.3 on the Richter Scale. No queen, no spade, on the turn or river and Yu is out in 30th place, cashing for $4,987.